Wednesday, the day of Wodin, the most powerful of the Norse gods. Who could feel secure on a Wodinsday? I guess I could just hang about to see if I could get selected as a Valkyrie since I’ve had rejections slips from the other big six publishing gods. But even more worrying is the pagan ordeal that lies ahead. Rather than diving down to collect dead warriors on my horse, all I have to do is meet the book buying public. They will be able to poke and question me. They will be able to mock my prose and ask me to expose my purple literary cellulite. Writing of love and passion in the warm air of France with a glass of wine, responding to the remembered thrill of new love and a view of a muscular sun bronzed young man forking his harvest is easy. Presenting my somewhat experienced and time washed persona to the masses is NOT. 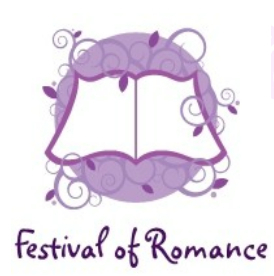 All the same, I have signed up to attend the Festival of Romance in the historic city of Bedford, UK. I just know I can do it…. The good news for all you scribes out there is that if you are not already a block busting mega stegosaurus you can enter their New Talent competition. Check out the details below. The Festival of Romance is delighted to announce that the New Talent Award will run again this year. The industry judges are Georgina Hawtrey-Woore senior editor at Cornerstones, Random House and Diane Banks, literary agent at the Diane Banks Associates Literary Agency. The Festival of Romance New Talent Award aims to cast a spotlight on the authors of tomorrow and is open to all writers who have not yet had a book commercially published. Writers may submit the opening chapter (up to 3,500 words) of a romantic novel of any type by 30th September 2012. The winner and runners-up will be announced and presented with trophies at the gala Festival of Romance Awards on Friday 16th November 2012. There is a small entry fee to cover the award administration. Entrants may also gain a critique of their entry written by a professional novelist. Winner of the 2011 New Talent Award Henriette Gyland subsequently garnered a book deal from publishers Choc Lit. Her debut novel Up Close will be published in December 2012. Emma thinx: Never stop doing within what you can’t do without. 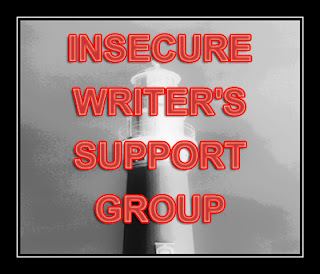 This entry was posted in Bedford, Festival of Romance, passion, plat cote de boeuf, red wine, the insecure writers support group by emmacalin. Bookmark the permalink. You are a romantic author of the present. You may as well be a romantic author of the future as well. As they say in the southern US, “You go girl!” And have fun for all of us to boot.